Instead of accompanying their masters to faraway places, our canine companions habitually spend their vacations at a boarding kennel or with a dog sitter. But you don’t have to leave your pet behind to explore Europe. Look around and you are likely to find dogs in restaurants, on trains, and on the beach. Most countries here are very dog friendly, and taking furry friends along may actually be easier than trying to find a place for them to stay behind. Yvonne Schulmeyer runs a travel agency that specializes in vacationing with dogs, called “Hunde im Urlaub” (dogs on vacation). 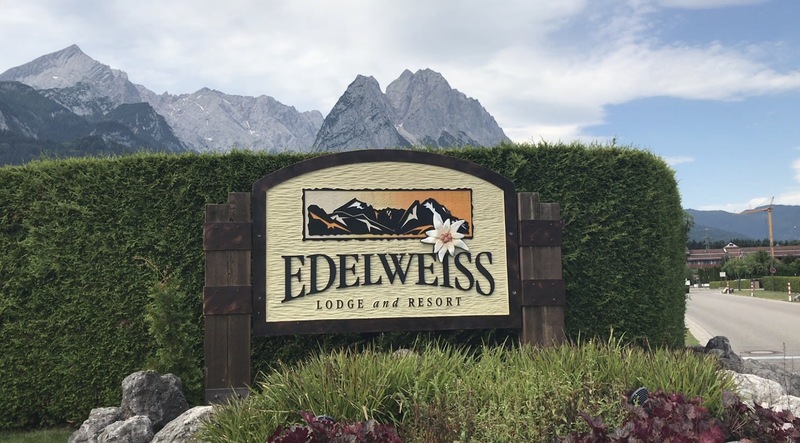 She finds hotels and vacation homes that allow pets, as well as organized trips for dog owners that feature specials such as dog hiking tours or integrated pet sitting services during cultural explorations where dogs may not be allowed. 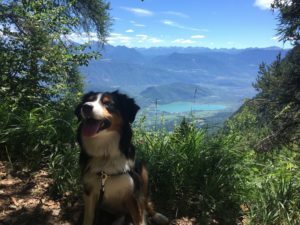 Schulmeyer and her own two dogs have traveled to many European countries to test the places she recommends. Their experiences have mostly been positive. Denmark, Norway and Sweden are exceptionally dog friendly, she said. 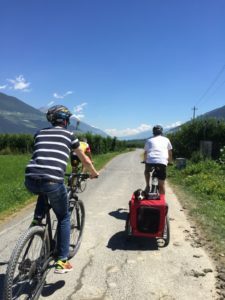 Eastern Europe is also rather dog-friendly, but a different attitude toward the animals as primarily working and guard dogs there may rub some westerners the wrong way, Schulmeyer said. Tuscany and Croatia are also good destinations for traveling with dogs, she added. 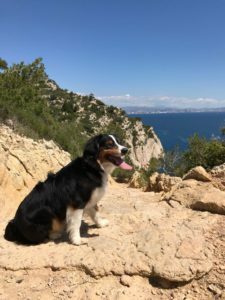 In southern Europe, dog owners may have more difficulty finding dog friendly hotels, and beaches often forbid dogs in the water or do not permit them at all. Unlike in the northern countries, restaurants in the south usually limit dogs to outside patios. Schulmeyer cautioned that any dog that is muscular or has a wide head, even a Rottweiler or Labrador, may be in danger. People should only take those dogs along if they have papers from the European FCI, the equivalent of the American Kennel Club. When booking a hotel, travelers need to announce their intention to bring along a dog in advance, even if the hotel says it allows dogs. If the hotel’s web site doesn’t state whether dogs are allowed, you can just call and ask before making a reservation. Hotels do tend to charge an extra cleaning fee comparable to an additional crib if you’re traveling with an infant. For any travel abroad, dogs need to have a microchip implant. That chip needs to adhere to the European standard, otherwise the owner needs to take along a proper chip scanner. Dogs also have to have a current rabies vaccination that needs to be noted in an EU pet passport, which is available at any German vet’s. Although rabies is the only required vaccine for entering a European country, there may be other suggested vaccines to protect pets from foreign viruses, so it is worth checking with a veterinarian beforehand. For more information on entrance requirements, such as antibody tests to avoid quarantine in the United Kingdom or Sweden, visit the portal site of the European Union. When traveling, Schulmeyer advises taking the car over other means. “I wouldn’t recommend train trips or plane rides for dogs,” she said. Not only do those carriers usually impose additional restrictions, but they can also put extra stress on the dog. Don’t forget that Germany’s law requires dogs in cars to be secured in either a kennel or with a seatbelt or safety net. 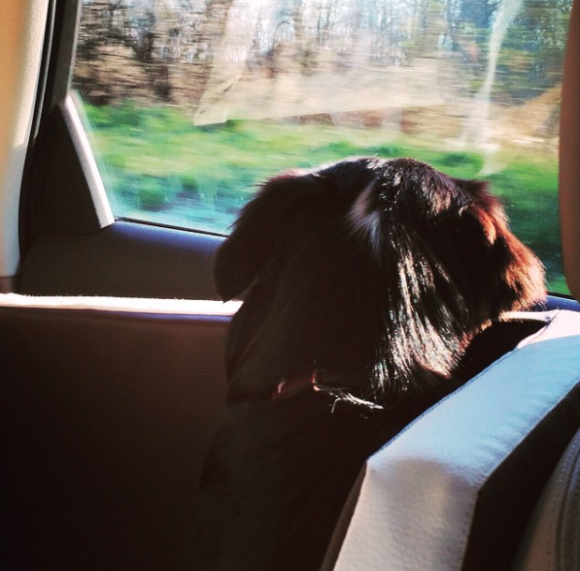 If a dog gets car sick, withholding food before the trip may help, Schulmeyer said. Fun fact: my grandma’s car used to get car sick every time unless they were going on vacation because it was too afraid of not getting to come along so she started throwing an empty suitcase in the trunk whenever they went on the road and the trick worked! Plan on making a stop at least every three hours and give the dog plenty of water. Older or sick dogs should be checked by a vet before going on any trip. Dog profile: Smilla tends to be taken with her owners wherever they go, as long as no plane rides are involved. She is used to long car journeys by now and never complains. She has never encountered a restaurant that would not let her sit outside, so summertime traveling is particularly pup-friendly but she’s been very lucky with indoor seating as well. Of course her travels are designed to entertain her as much as her human friends, so whenever they are looking to go on city trips, she stays at home with a friend. She loves the beach, mountains, parks and everywhere else she can run freely. Her tours have taken her to every country sharing a border with Germany as well as England and Scotland, the only places she’s ever had to sit in the car during lunch because of their strict(er) health regulations.